Rod J. Rohrich, MD, Distinguished Teaching Professor and Founding Chair of the Department of Plastic Surgery at UT Southwestern Medical Center, is an internationally known surgeon and innovative leader/educator in plastic surgery. His interests span the entire spectrum of plastic surgery, from craniomaxillofacial surgery to aesthetic surgery, and have resulted in over 700 peer reviewed scientific articles. He served as President of the American Society of Plastic Surgeons, the largest society of board certified plastic surgeons in the world. Dr. Rohrich has been a Visiting Professor to over 150 organizations/societies and chaired over 100 plastic surgery educational symposia worldwide. 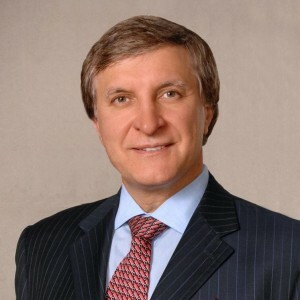 Dr. Rohrich received his medical degree from Baylor University College of Medicine; completed a plastic surgery residency at the University of Michigan Medical Center, and did further specialty training in pediatric plastic surgery at the Radcliffe Infirmary/Oxford University and hand/microvascular surgery at the Massachusetts General Hospital/Harvard Medical School. Dr. Rohrich has received the top prestigious national research, teaching and distinguished service awards from plastic surgery professional societies. He is Editor-in-Chief of Plastic and Reconstructive Surgery, the most prestigious peer reviewed medical journal in the world for plastic surgeons.